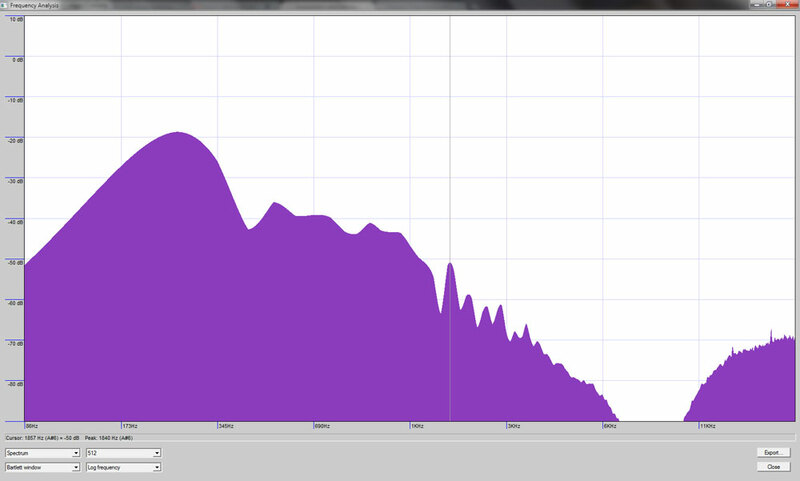 An Update: I’ve made considerable progress in improving the quality of the audio output. 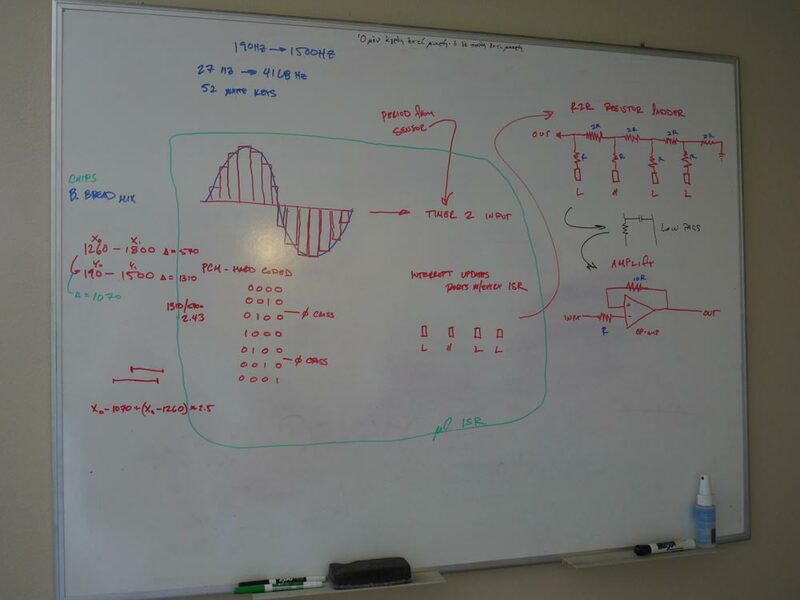 In the prior post, I was generating a square wave with the pulse frequency determined by an input from a capacitive sensor. It sounded, to put it succinctly, awful. Since I was generating it through the main loop() code, it was also susceptible to processor load problems, i.e. when an analogRead() was done, it would stop the waveform generation and start it again for ~100mS. 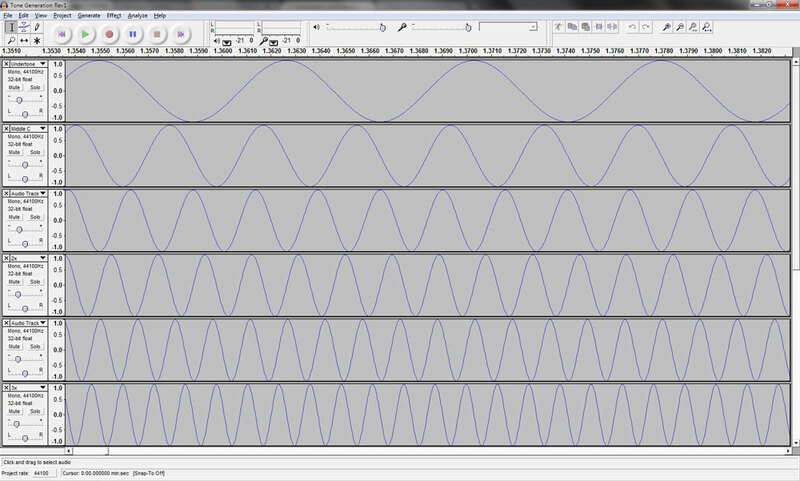 I’m now using interrupt-driven Pulse Code Modulation to generate an arbitrary waveform, and it sounds surprisingly decent, actually. You can see that the strongest tone is at the fundamental frequency of middle C, 261Hz. 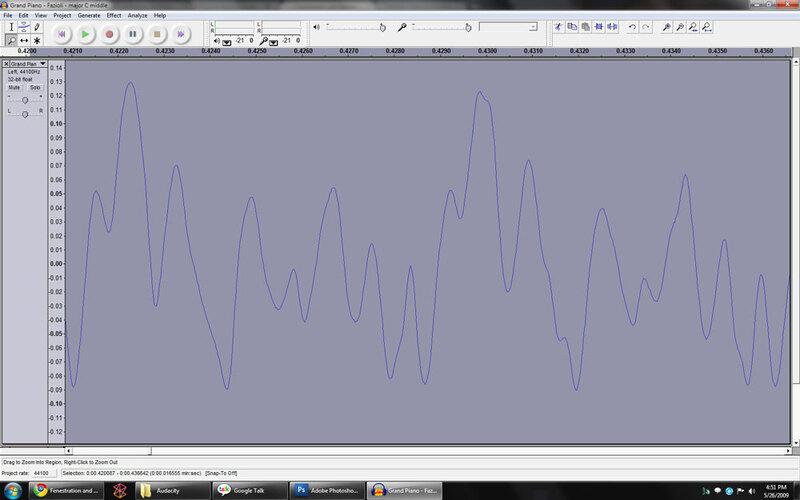 But there are also spikes at the harmonics of that frequency, e.g. 523Hz, 784Hz, 1046Hz. 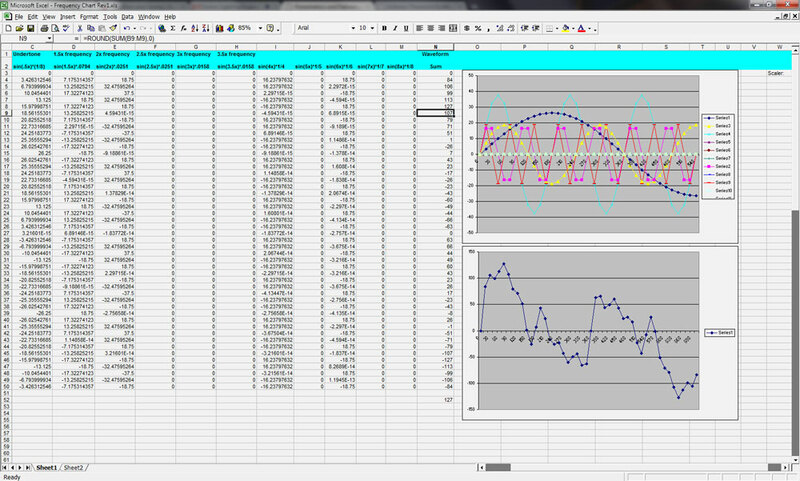 Interestingly enough, the strongest harmonics are those corresponding to powers of 2, i.e. f * 2n. I’ve read that even-numbered harmonics are more pleasant-sounding than odd-numbered harmonics, and this would seem to support that idea. Also, as you add in the odd-numbered harmonics, the waveform approaches a triangle wave, which is definitely less pleasant to listen to than a sine wave. The generated version sounds different because there’s no envelope shaping on it– it’s just a constant amplitude. However, I if you listen to both a few times the tone is somewhat similar. I’m going to talk a little more about the specific programming techniques I used to make the Arduino do this in a separate post. Update: that post is here.